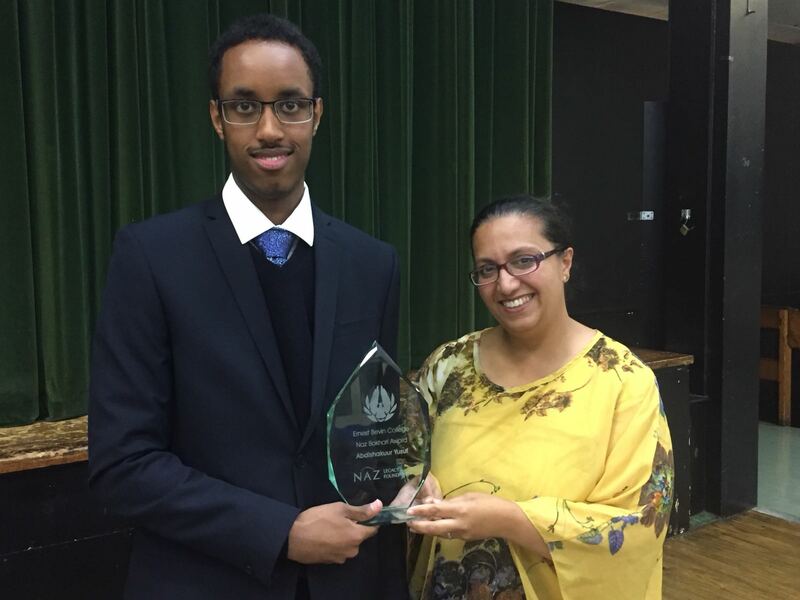 Abdishakuur Yusuf has been announced as the 7th Naz Bokhari Award winner. The Naz Bokhari Award is an annual award for students who achieve university acceptance despite adversity, who have to strive harder than others due to personal or social issues. This award will recognise resilience and perseverance, qualities that Naz had, and promoted. We would like to congratulate Abdishakuur on graduating from Ernest Bevin College attaining a place at Imperial College London, studying Medicine.